A place to talk about bikes, rides and life on two wheels. A Harley-Davidson Adventure Bike: Too Much, Too Late? Fire season is in full swing here in California. Multiple wildfires are burning across the state from as far north as the Oregon border to as far south as the San Diego County line. Out of all the fires burning throughout the state, the one that has had the most impact in my area is the Holy Fire. The Holy Fire started in Trabucco Canyon (commonly referred to as Holy Jim by the locals in OC) and has burned over 18,137 acres with only 5% containment. That is almost double the size from this time yesterday, when I posted a video about the fires and how they are affecting the riding areas that we enjoy here in Southern California. Over the last few days, the fire has spread from Orange County, across the Santa Ana mountain range, and down into foothills of Lake Elsinore and the Temescal Valley. 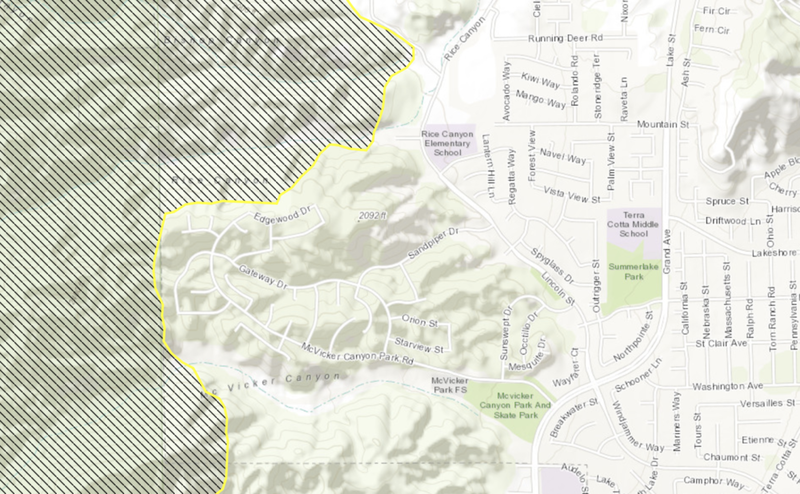 This caused mandatory evacuations in multiple neighborhoods in the area including Horsetheif Canyon, Sycamore Creek and McVicker Canyon. If you have followed my YouTube channel for a while (or you know me personally), you might know that I used to live out in Lake Elsinore. We lived there from 2006-2008, and for two of those years we lived in the McVicker Canyon area. It is a beautiful neighborhood, with scenic mountain vistas on one side and a spectacular view of Lake Elsinore on the other. Amazingly, there hasn't been any reports of homes in that area being damaged or lost due to the Holy Fire which is pretty incredible. As sad as it is to see the mountain and all of the trails we enjoy up there being destroyed by the wildfire, it is good to know that the communities closest to the fire appear to be safe for now. Me going up Indian Truck Trail a few weeks ago. This is one of the areas impacted by the Holy Fire. With the fire only being 5% contained, there is a lot of potential for the fire to spread north or south along the mountain range. Hopefully the worst is over, but with the way the wind blows in from the ocean and over that mountain range anything is possible. Hats off to the firefighters out there working to protect my old neighborhood and surrounding areas. If there is any other news regarding the outcome of the Holy Fire, I will be sure to post about it here. For fire maps and information, please check out https://inciweb.nwcg.gov. Welcome to the official website of Each Adventure! After a year and a half on YouTube, I finally decided that it was time to put together a website. Please feel free to have a look around and let me know what you think! While I never had any intentions of setting up a traditional blog, building this site really got me thinking about what I really want Each Adventure to be. The answer to that question isn't crystal clear in my mind yet, but one thing that is clear is that I want Each Adventure to keep progressing. YouTube has been great and I have received a lot of great feedback, but I really want to offer more than just a YouTube channel and other traditional forms of social media. This might come as a shock, but I am not a huge fan of social media. While it is convenient and widely used, I find it to be a bit impersonal, somewhat of a hassle, and extremely noisy. When I started researching different ways I could build a website, it became clear to me that a blog was one of the best ways that I could share my stories beyond what I try and capture on my videos. While traditional social media is all about the now, a blog can be used to document my favorite rides, offer up my opinions and really connect with my audience. This will be a space to share pictures, stories, videos, reviews and anything else that I feel fits under the Each Adventure umbrella. Thank you for checking out the site. I have a lot of ideas moving forward so please be sure to bookmark the site and check back often for updates!